I got to initially test out my Antigua Leader Pullover here in Canada during my job as a Canada Post mail carrier but I was really ready to test it out on my golf trip to the Myrtle Beach area last week. This was my first time wearing Antigua apparel which coincidentally was worn by first time PGA Tour Winner Kevin Streelman last week as he won the PGA Tampa Bay Championship. 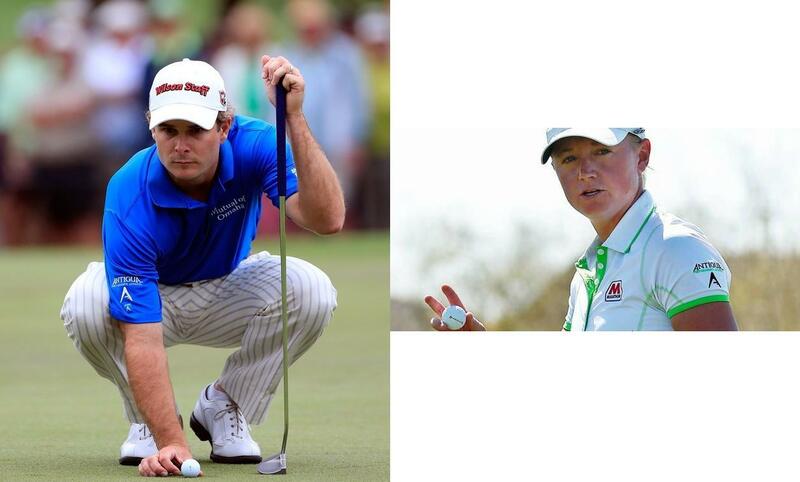 As well on the LPGA Tour now World #1 Stacey Lewis wore Antigua Apparel in winning the RR Donnelley LPGA Founders Cup. "Kevin Streelman has worked very hard at perfecting his game and his hard work paid off with his first PGA TOUR at the Tampa Bay Championship," says Ron McPherson, President and CEO of Antigua. "We are very excited to have Kevin wear our new 2013 performance golf apparel on the PGA TOUR and this is a great honor, as well as showcase, for us. "Stacy's victory at the RR Donnelley LPGA Founders Cup in Phoenix more than validates her number one ranking aspirations," says Ron McPherson, President and CEO of Antigua. "We are very proud to have Stacy Lewis wear our exciting 2013 apparel on the LPGA tour." Antigua has been a leading apparel designer and marketer of not only men’s apparel but women’s and children’s as well for over 30 years. I was excited to test out the Leader pullover. Once you put on the Antigua Leader pullover you realize this is one stylish, high-performance jacket. While it was perfect for my early morning rounds in Myrtle Beach or if the wind was howling later in the day. You'd probably need something warmer for those cooler Fall and early Spring rounds here in Canada. Like I said earlier I ended up wearing my Leader Pullover as a layer during my full-time job as a mail carrier with Canada Post so this pullover is extremely versatile both on and off the course. Made of a 84% polyester and 16% spandex mix, and features a ¼ zip with self-fabric stand-up collar. The Leader is part of Antigua's Performance Golf Collection. The Leader Pullover is extremely light and never once impeded my golf swing. My Leader Pullover's main colour was smoke accented with a melon contrast inside the neck and zipper teeth. The Leader Pullover comes in a plethora of colours. Check out the other colours available in Antigua's online store here. I was really impressed with Antigua's Leader Pullover. A great durable mixture of fabrics makes this an impressive addition to my golf apparel. 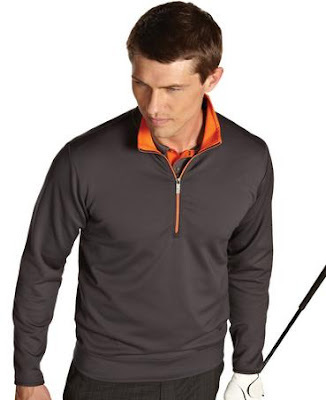 With great moisture-wicking technology it performed great, both as a pullover and as a layer option. Priced at $59 MSRP, it's a steal compared to similar jackets. It's also available in a women’s line. Hey this is really superb collection of golf apparel from Leader. I know some shops from where I purchase golf apparel online and now I will add Antigua's online store also in my list. This is really an amazing review in golf apparel review.AS a golf lover it is truly a useful post to me and these golf apparels are just awesome.Nice and descent colours and designed really very beautifully.I must say this is a productive steps in golf apparel.